CoverPlus-Air envelopes are as strong as an ox, and yet as light as a feather. They are fitted with an internal layer of air-cushion foil and a handy, self-adhesive fastening strip. The weight of CoverPlus-Air envelopes is 30% less than comparable kraft envelopes. This means you save considerably on postage costs. 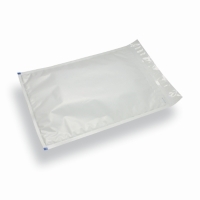 CoverPlus-Air envelopes are most suitable for mailings which need extra protection.